Cincinnati’s best museums offer diverse exhibits that delight and enlighten the whole family. Progressive artists take the spotlight at the Contemporary Arts Center, whose mission is to offer engaging exhibits that not only entertain, but also challenge and educate. The building itself, with its edgy architecture, exemplifies this by being the first U.S. museum designed by a woman — acclaimed architect, Zaha Hadid. 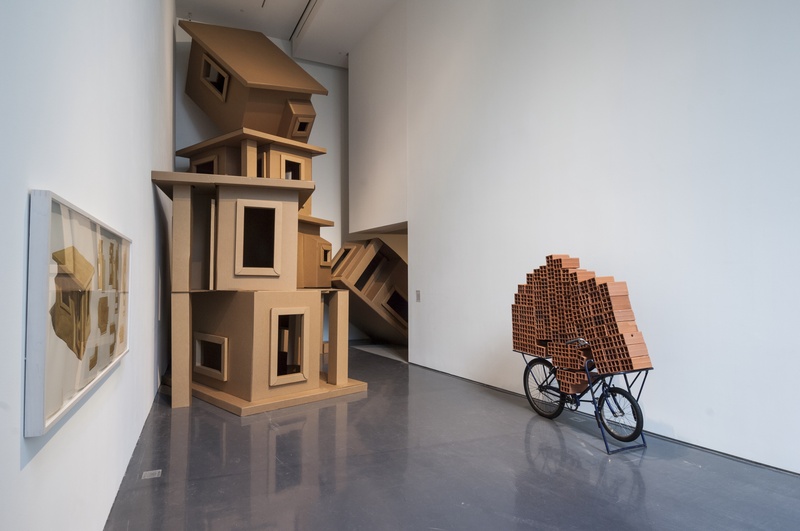 The “Buildering: Misbehaving the City” exhibit, curated by Steven Matijicio, runs through Aug. 18 in time for the CAC’s 75th anniversary. “Buildering” is a coined term that combines “building” and “bouldering,” describing how citydwellers misuse built structures’ intended functions, freeing themselves from the bounds of rituals. “If you believe the premise that one’s mind can be imprinted with ideologies by the way we navigate the city plan, then actions associated with buildering break habits and cultivate new freedoms — both physical and psychological,” says Matijcio. The exhibit will explore this phenomenon on a global scale with artists such as Ivan Argote (Colombia/France), Iman Issa (Egypt) and Hector Zamora (Mexico/Brazil). The Contemporary Arts Center also has an unMuseum, located on its sixth floor, for kids and lovers of anything hands-on. Unlike the rules of a typical museum, the point of the exhibit is specifically for visitors to touch things — to interact with the art and objects through their senses. And why stop there? The unMuseum is also host to the best and largest art-making space, providing the supplies for guests to transform into artists themselves. Better yet, the new Sky Villages by artist James Paulius will run throughout the entire summer. To any kid’s delight, the exhibit allows for guests to have fun reshaping the unMuseum with pillow forts, tunnels and homemade tents. Visitors can also design the Cincinnati skyline with stamps, make their own chalkboard blocks and engage in story time. “The main way visitors will benefit is that the exhibit encourages [them] to think about architecture,” says Jaime Thompson, curator of education at the CAC. “It’s allowing kids to explore design thinking skills.” 44 E. 6th Street, Downtown. 513-345-8400 or contemporaryartscenter.org. The Cincinnati Art Museum, located in Eden Park, is one of the oldest museums in the United States — and one of the best. It contains an unprecedented collection of more than 60,000 works and has hosted national and international traveling exhibits. The museum’s “Cries in the Night: German Expressionism around World War I,” running from June 21 to Aug. 17, provides insight into a period of rampant transformation in Germany — a country from which many original Cincinnati inhabitants immigrated — and Austria. The social and aesthetic transformation in Germany and Austria resulted in expressionism, something that can be traced by this exhibition of prints. Germany’s war history is also evident in the work of those during this time. There was a concurrent development in the graphic arts — in particular printmaking — beginning with the rise of the Brücke, a group of German expressionist artists, in 1905. Featured German printmakers include Erich Heckel, Ernst Kirchner, Georg Macke Käthe Kollwitz, Max Beckmann, Max Pechstein and Otto Dix. 953 Eden Park Drive, Eden Park. 513-721-5204 or cincinnatiartmuseum.org. Located near the CAC is another cutting-edge museum that doubles as a boutique hotel — 21c. This museum is open seven days a week, 24 hours a day, so you can check out the provoking exhibits any time you want and even stay the night. Hybridity: The New Frontier will be available at 21c in June and will run throughout the entire summer. It allows guests to artfully examine the diminishing boundaries between human and animal kingdoms. It also displays new scientific advancements and the changes affecting the Earth. 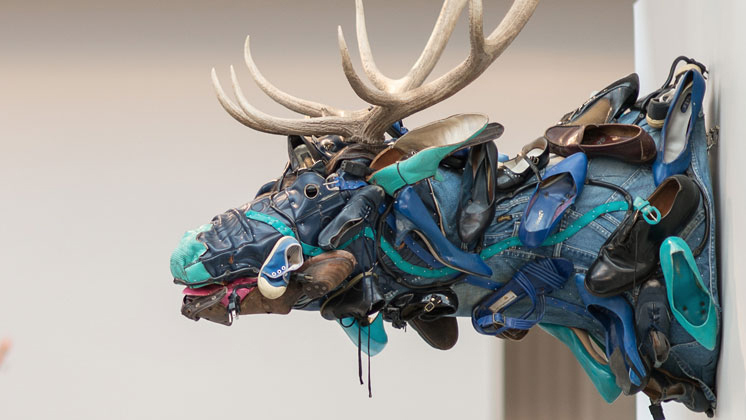 The exhibit uses photography, painting, sculpture, video and repurposed commercial materials — tires, safety barrels, matches, broken furniture, discarded shoes and more — to breathe life into a two-headed ram, an embroidered cow, a leopard resembling Mick Jagger and other surrealist interspecies. “Guests can expect to learn about hybridity, both real and imagined, which occupies nature’s new frontier where the organic and artificial merge,” says Amanda Schinder, who works with PR for 21c. 609 Walnut St., Downtown. 513-578-6600 or 21cmuseumhotels.com/cincinnati/. The historic Taft Museum has an extensive history, at one time being home to President William Howard Taft’s half-brother; in fact, Taft accepted the nomination for U.S. president underneath the house’s portico. Today, the museum allows its visitors to take an epic journey with American artist Thomas Cole, founder of River Hudson School, an art movement that depicts natural and realistic American landscapes. The exhibit, “America’s Eden: Thomas Cole and The Voyage of Life” spans from June 13-Sept. 14. Voyage of Life (1839–40) are Cole’s paintings that use four magical river landscapes as an allegory for a man’s life. Cole’s famous work will be accompanied by 41 American landscape paintings and works on paper from the permanent collections of the Munson-Williams-Proctor Arts Institute in Utica, N.Y. Emma Caro, manager of PR and marketing at Taft Museum, describes this exhibit as a quartet of monumental and beautifully painted pictures — a landmark in American cultural history. The exhibition includes works by Asher B. Durand, Frederic E. Church, Jasper F. Cropsey and George Inness, and demonstrates the cultural significance of Cole’s work through dramatic visual terms. 316 Pike St., Downtown. 513-241-0343 or taftmuseum.org. Cincinnati Museum Center at Union Terminal is a historic Art Deco train station turned center for special exhibits, museums and attractions that stands as a National Historic Landmark. Its many exhibits inspire visitors to learn about the world around them through science, regional history and their own experiences. The award-winning exhibition, Diana, A Celebration — in honor of the beautiful and beloved late Princess Diana — is making its last stop at the Cincinnati Museum Center and runs until August 17. The celebrated Princess of Wales drew in more than a billion viewers during her 1981 Royal Wedding and is still widely of interest today. “So often Diana and people like her are put up on the pedestal and people revere the name and legend, but what this exhibition seeks to do is to take her off that pedestal and show the real person behind that,” says Cody Hefner, manager of media relations at Cincinnati Museum Center. “In the process, you fall more in love with her.” The nine galleries and 150 objects, including her wedding dress, diamond tiaras, home videos and family heirlooms, display her life and philanthropic work. 1301 Western Ave., Queensgate. 513-287-7000 or cincymuseum.org. Originally written for Cincy Magazine (Summer Fun Guide).